Once again we have organised an extra activity to coincide with our 2016 New Year Cream Tea Event which is being held on 1st January, 2016 at The East Dart Hotel, Postbridge. 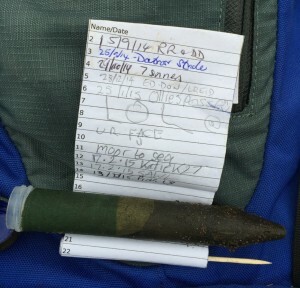 One more tor, but three less caches than last year, but a very similar format. 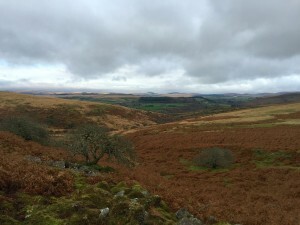 At about 8am on 1st January 8 new caches will be published on Dartmoor. 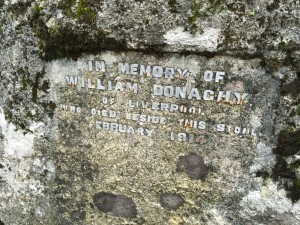 These consist of two or three caches in each of 3 areas, plus the bonus cache. Of the 7 feeder caches, 6 are simple offset caches and the other one a very simple puzzle cache. Each of the 7 caches will contain bonus information for the bonus cache. 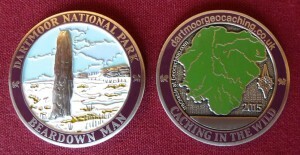 Yes, no fewer than 3 of the 8 caches have an unactivated geocoin as a FTF prize. 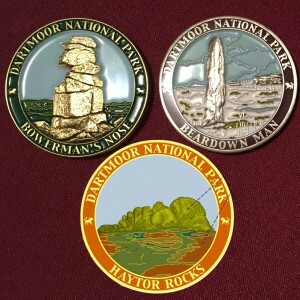 I would ask that any caching group takes no more than 1 of these coins. 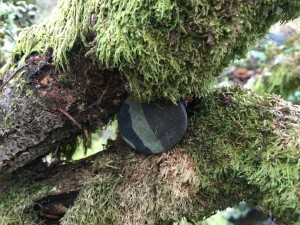 Please do leave a second FTF geocoin to another group. All distances round trips from and back to recommended parking. So a total of less than 8 miles with the majority on paths with many hints. 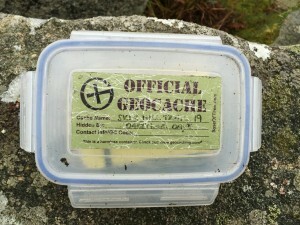 As last year, some of the caches will be listed on geocaching.com and some on opencaching.org.uk. So, how many are up for our Seven Tors Challenge? Please reply to this post to let us know if you will be taking part or to ask any questions. 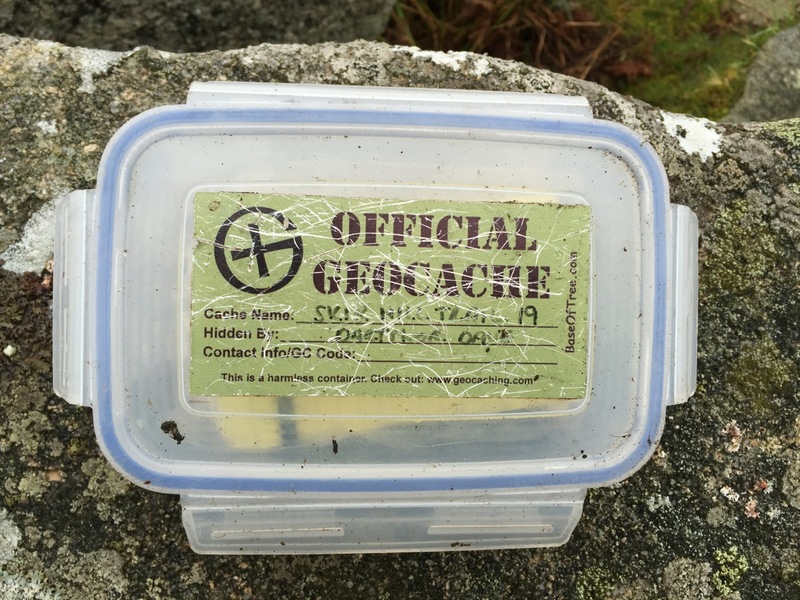 Have you joined the Dartmoor Geocaching Facebook group? Please note that you can click on any of the photos to see them enlarged. 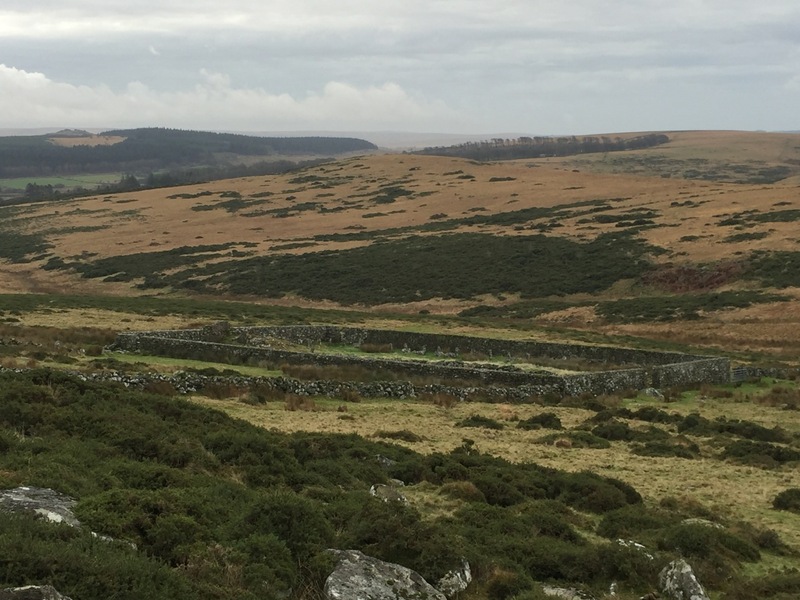 For me, the most impressive structure on Dartmoor is shown on the map as The Sheepfold, although clearly it’s high walls indicate that that was not it’s original purpose. 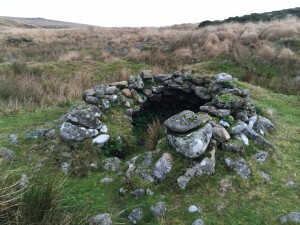 Evidently it was built as a Starch Factory by John and Thomas Hullett at the start of the 19th century but seems to have been another ill-conceived Dartmoor business which soon failed. 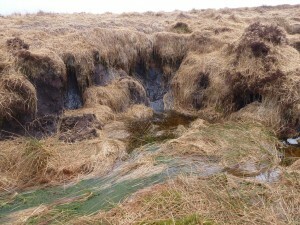 I was brought back to this area to check on The Starch Factory cache which had indeed gone missing and is now replaced. Not far from the Sheepfold is the Beehive Hut, another very impressive Dartmoor structure. 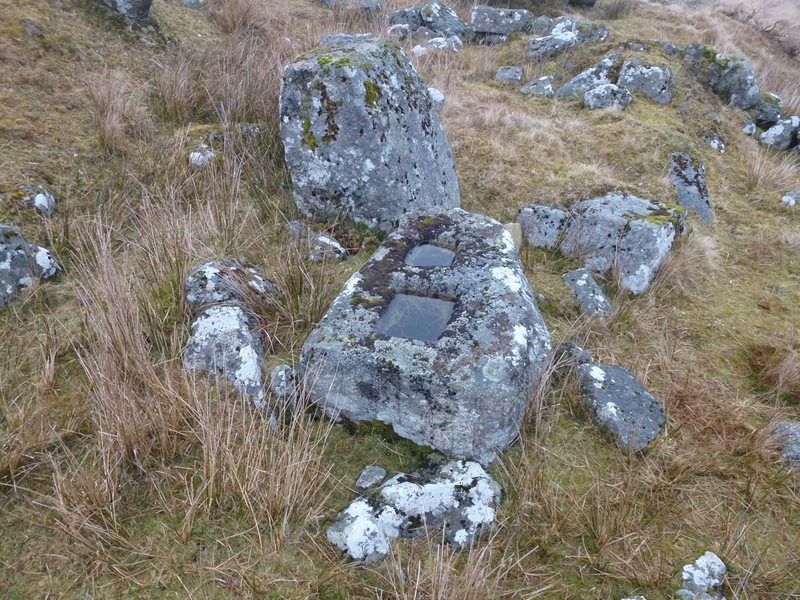 Beehive huts such as this one were used by tinners and stone cutters to store their tools and also as a small shelter from the elements. 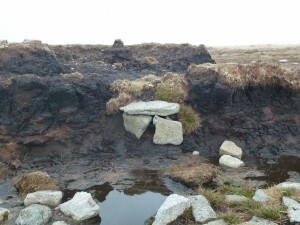 My adopted cache, Beehive Hut, has caused many problems and once again it had appeared to go missing when a found log was recorded. 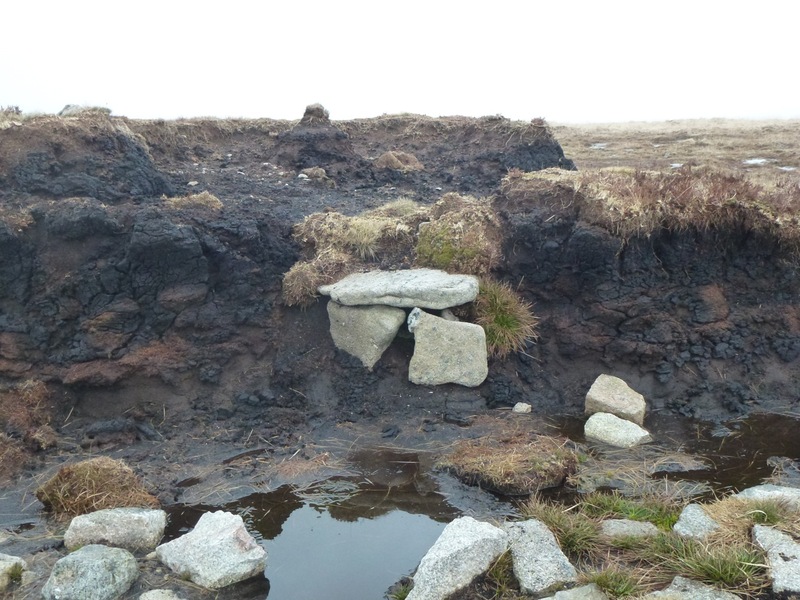 For some reason the cache had disappeared from its proper hiding place and had been found on the open moor a few yards away. Fortunately I quickly spotted this and returned it once more to its rightful place. 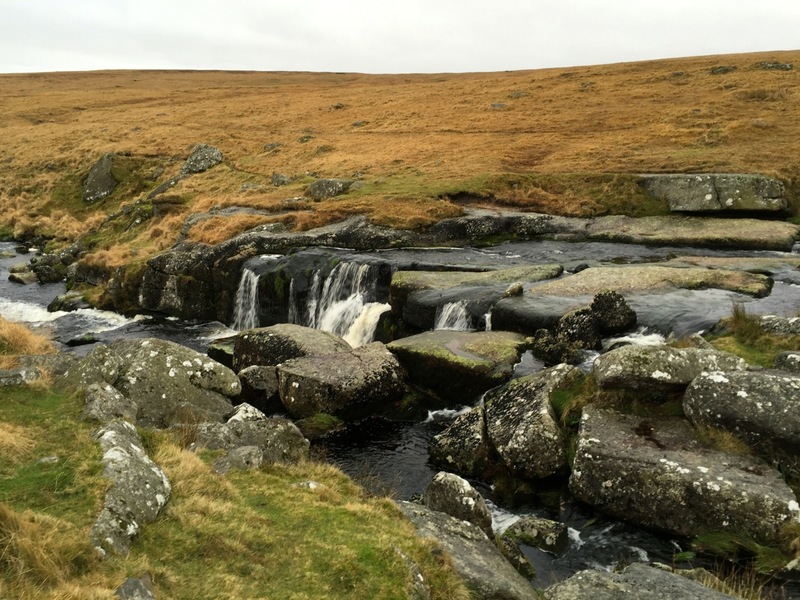 Three more caches were checked on my way to the East Dart Waterfall, and despite several DNFs on two of them, all three were exactly where they should have been. 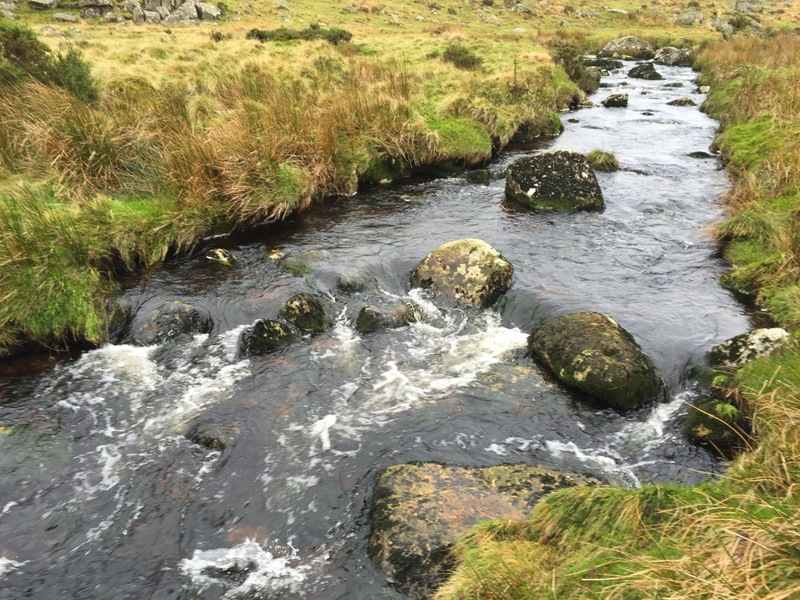 Having seen the state of the East Dart I was getting extremely worried as to whether I would be able to cross it safely at the waterfall. If I couldn’t not only would it mean a longer walk back, but I wouldn’t be unable to check the caches on the other side of the river. 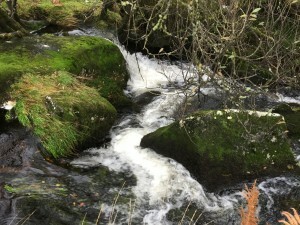 This was the river near the Dart’moor’s Double Dozen 12 cache! 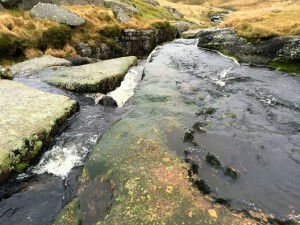 It wasn’t immediately obvious whether it would be safe or not to cross the East Dart at the waterfall, but it was certainly going to be challenging! This was the challenge – close up! Right in the middle – no turning back now! I have to say that this was the most difficult crossing I’ve had at the waterfall. The water levels were high, the river running very fast, the rocks were wet and very slippery. I was very aware that one false step could see me swept over the edge, so I proceeded very cautiously – much of the time keeping a three point contact with whatever I could reach! Well, I made it to the other side and was very relieved to have done so. 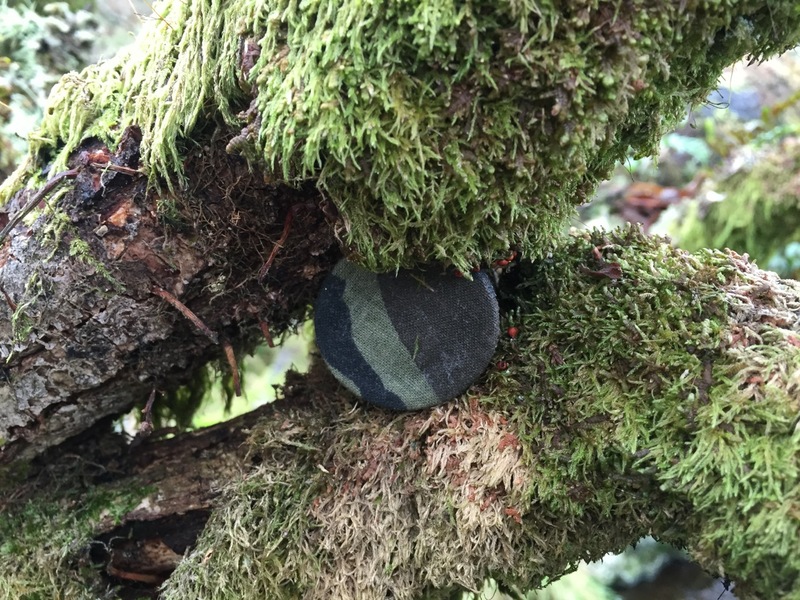 My adopted cache, Near the Waterfall, had gone, so was replaced. Never Say Never 6 had also gone, so another replacement. 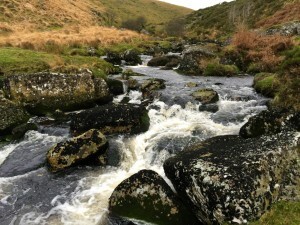 I made my way back down to the East Dart as I knew that DDD17 had gone, so once again a replacement! Author Dartmoor DavePosted on November 26, 2015 December 21, 2016 Format AsideLeave a comment on Skir Hill Trail – Maintenance, Hints & Spoilers! I’m going to ignore the number of times a coin is PLACED in a cache. 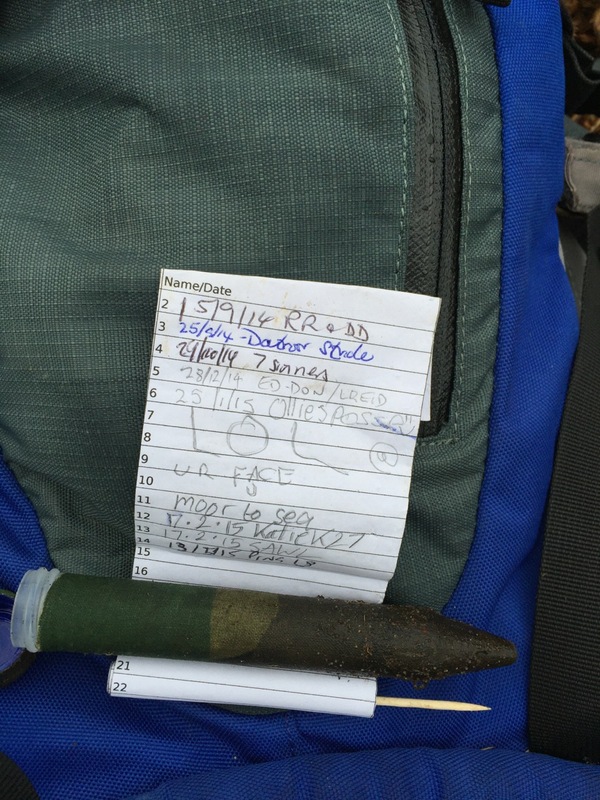 Last year some coins were placed in a cache and retrieved by the same cacher. This makes no sense at all and is clearly just a VISIT. It was also very time consuming to count the number of times a coin was placed. 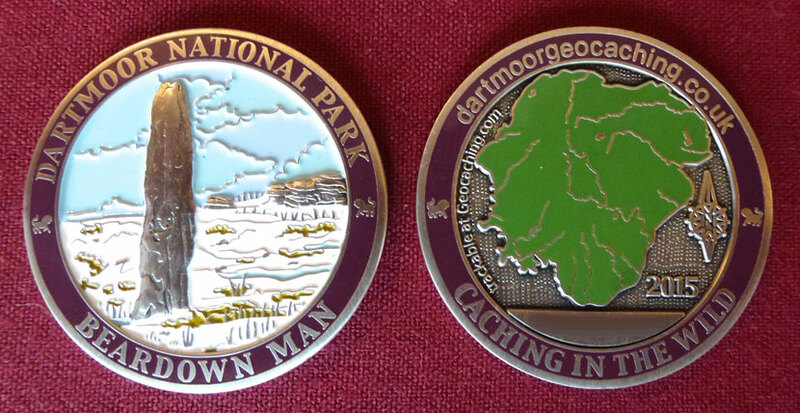 This year I will award 2016 Dartmoor Geocoins for the coins with the top 3 mileages. However, if we can get 30 confirmed entries I will increase that to the top 4! The geocoin will remain your property and you can set whatever goals you would like on the geocoin page. I would ask you NOT to remove the geocoin’s name but to add to it, e.g. 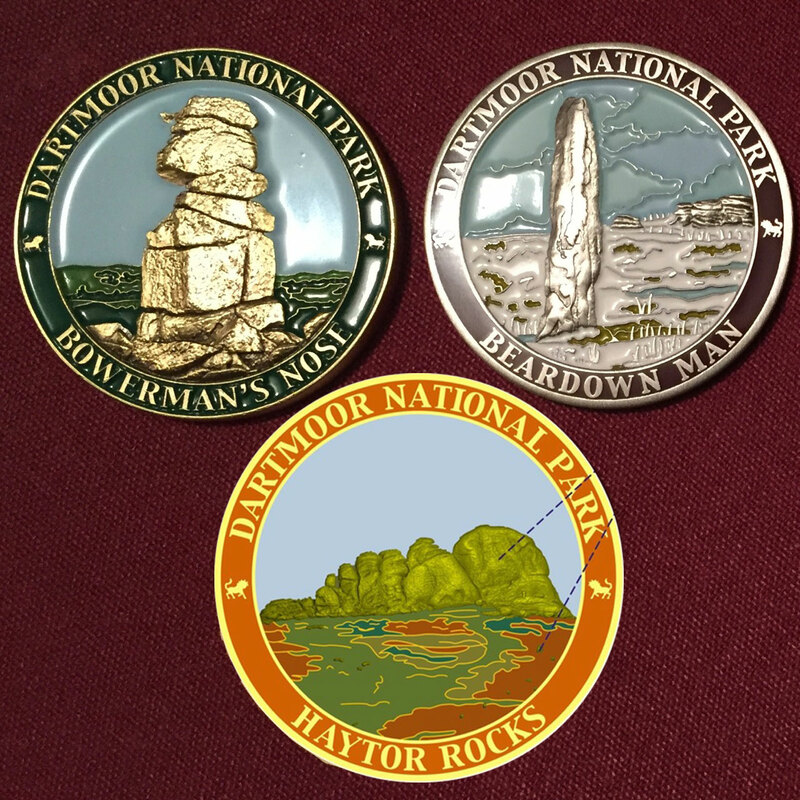 it comes named as Dartmoor National Park 2015 Geocoin, so you could add Sue’s ….. to the front of it. That way everybody can still search for it and I can produce some race details. Please also note that the original coin must be used. Copies and proxies, etc. cannot be used in the race. The race will start this coming weekend and will run until 31st October 2015 which is the end of the busy period for caching. After this things slow down considerably and we will not see much movement. Please check the list of entries. Please let me know which coin you are entering in the race if you have more than one and please let me know your caching name if I haven’t included it. Having many remote caches, is something of a double edged sword when it comes to maintenance. 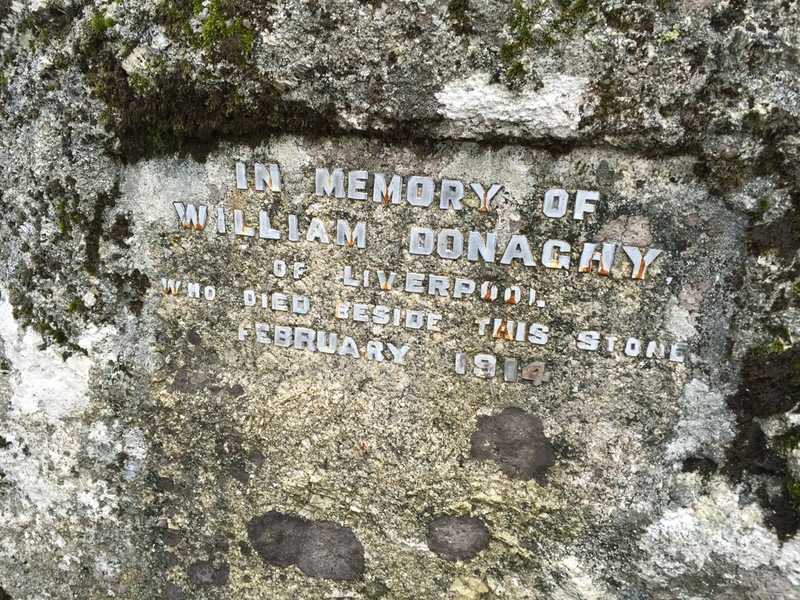 Generally, caches that only get visited 10 to 20 times a year seldom go missing and provided that cachers are careful when logging them, they should require little maintenance. A maintenance visit once every 2 years should suffice unless there are reported problems. Having just adopted several caches from ELDitton I knew I ought to start checking on them, and today was that day. 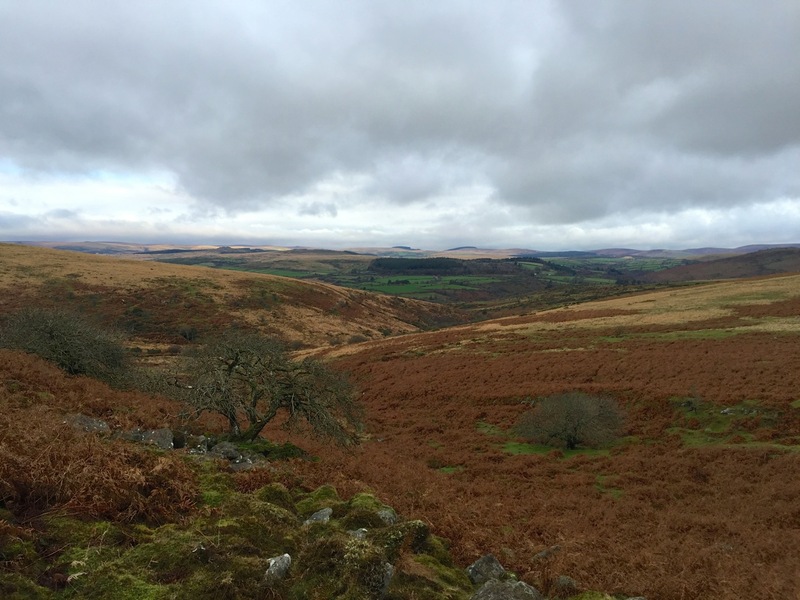 Because much of my walk would be in the Okehampton range I had to pick a day when there was no firing and at this time of the year that means a Monday, whatever the weather! 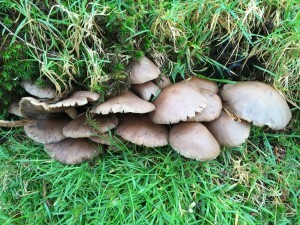 Fortunately today was forecast as misty but dry with temperatures close to freezing most of the day. 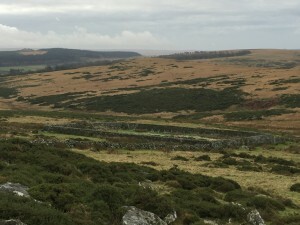 To access this part of the moor it is best to park at Fernworthy, but not in the car park but at the very end of the road. A good forest track then takes you right into the moor near Teignhead Farm. As I overlooked the moor visibility wasn’t great, but it was very atmospheric – just how I love Dartmoor to be! 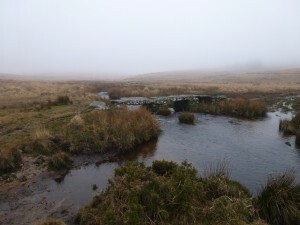 The first thing you come to is a fantastic clapper bridge, in my opinion one of the best on Dartmoor, but it only gets one thousandth of the visitors of Postbridge. Following the Teign upstream I soon came to the first adopted cache, Blacksmith’s Shop. I haven’t found this for several years and needed the very explicit spoiler photo. The cache container was a mess and full of damp rubbish. The log inside its film box was dry, but totally full, so I replaced the whole cache with a new clip lock box. 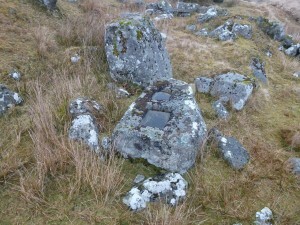 The Blacksmith’s Shop is recorded as a Blowing Mill and has a fine example of a Tinner’s Mould Stone, see photo. 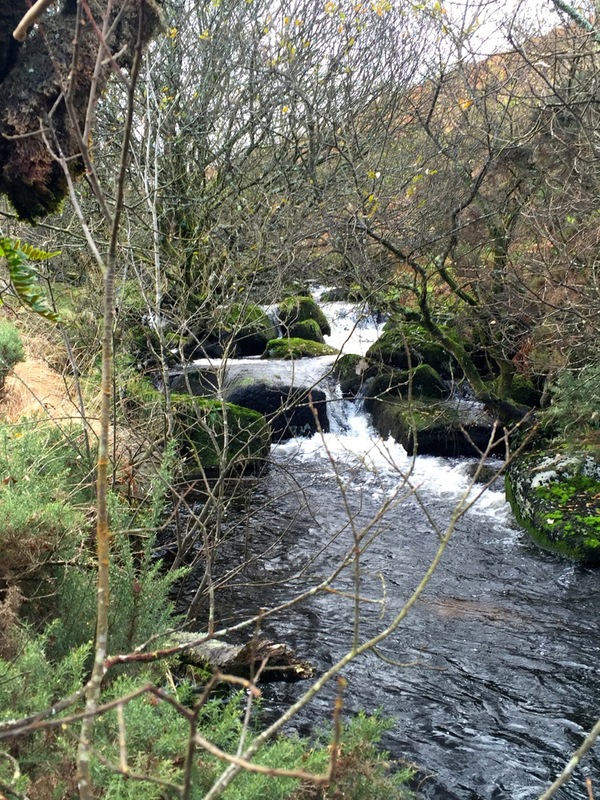 I followed the Teign upstream a little further and then headed cross-country for my cache Fernworthy Forest View – not that there would be any view today. I came across this spot a couple of years ago but only had a micro with me, so placed that. Of course I couldn’t find the micro, but on checking some earlier logs saw that it had been moved, not far, but far enough. I placed the micro in another small clip lock box and hid it under a stone. Next stop was the adopted cache at Quintin’s Man, but everything was good there. 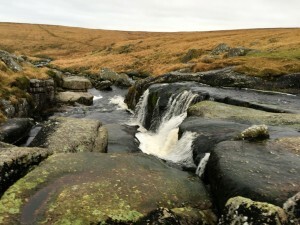 Since I have lived on Dartmoor I have visited the heads of many of the great rivers, and I had three lined up for today. 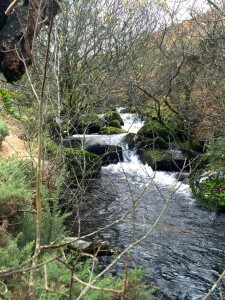 The first was Teign Head which was a real disappointment given the great river it becomes. Maybe we need some more rain! 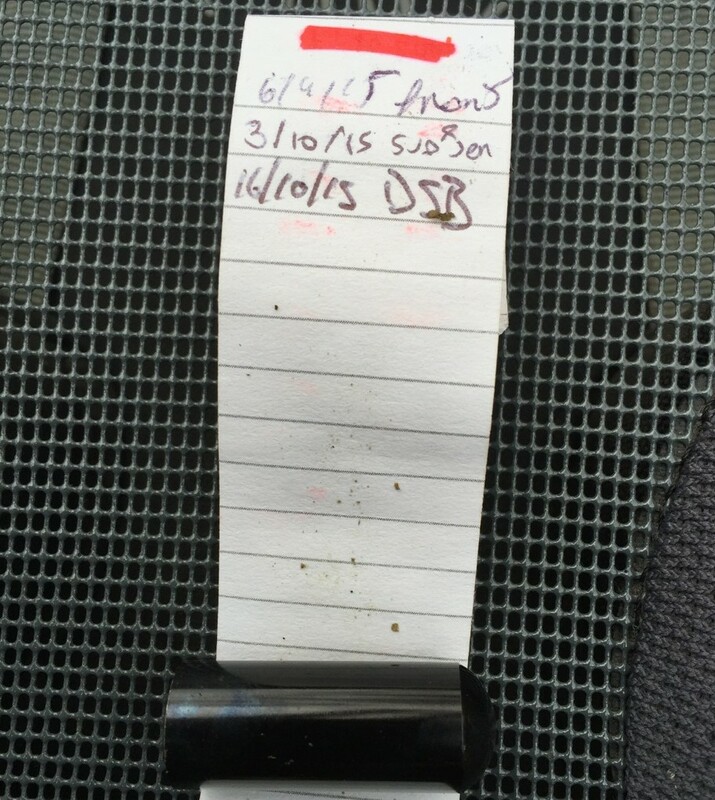 Next, I needed to pick up the East Dart as I have two caches here, one of which hasn’t been found since October 2013. 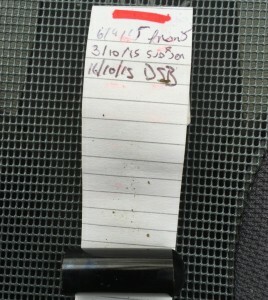 This cache was placed in June 2011 and I have only visited it once since. I couldn’t immediately spot it, so resorted to the usual “now where would I hide it”. Obviously I had a slight advantage here and the cache was soon found, once again in excellent condition. I have now added a spoiler photo! I actually had more difficulty in finding my next cache, but eventually did so and once again all was in order. If Teign Head was a disappointment East Dart Head was just the opposite and the finest river head I have seen on Dartmoor. 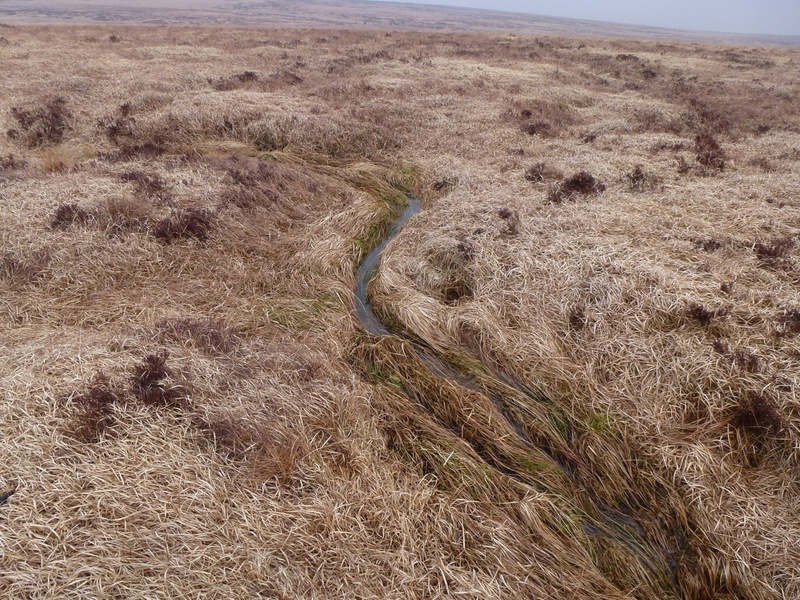 Although almost no water present, it was clear where the river had cut huge winding channels through the peat, some of which had then collapsed. Above that was a dainty little stream – the East Dart as you have never seen it! The area between East Dart Head and Taw Head is of course, a watershed, but not a sharp ridge but a very flat and boggy area. Fortunately I had chosen my trusted Muck Boots for today’s trek, a decision I was thankful for many times over. 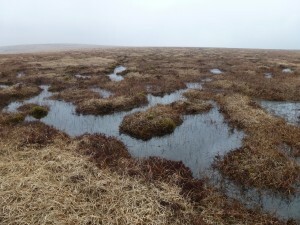 Taw Head was my third new head of the day and although again with little water it does have a nice winding valley which would probably look good with a good flow of water. I next headed up to check on my caches at Hangingstone Hill and Whitehorse Hill. Neither were a problem to find and both were in excellent condition. The Whitehorse Hill cist is a bronze age burial site and well worth the visit, although I was disappointed to see that the cairn behind it has totally disappeared. 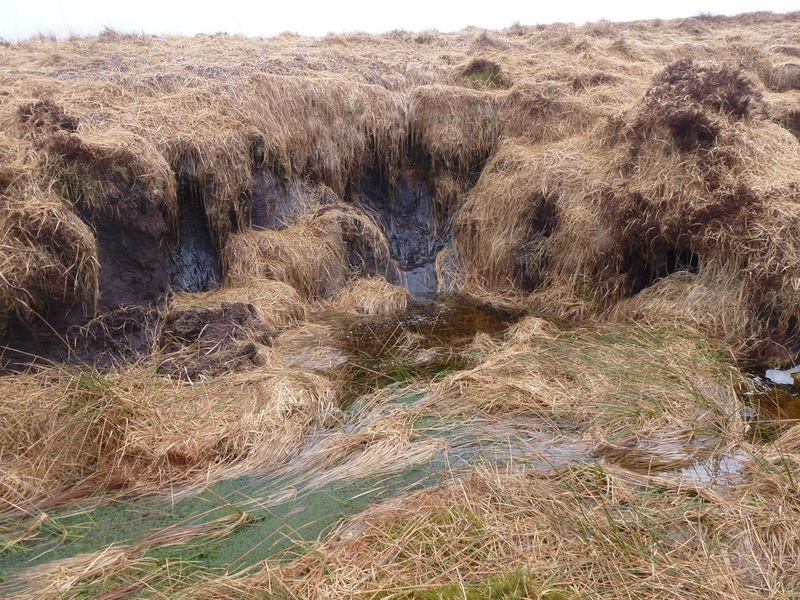 I then had to check on my adopted cache at the south end of the peat pass as I knew from the logs that this had problems. Once again a damaged outer container but this time an inner micro with a sodden logbook. So, another new cache was required here. 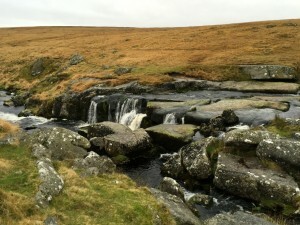 By this time I was a little behind schedule and headed for the most direct route back to Fernworthy. This was a mistake as I followed the Manga Brook for its whole length resulting in a continous paddle for nearly a kilometre! Next time I will keep to my normal route of Manga Hill. By the time I got back to the forest it was almost dark, but I didn’t need my torch. 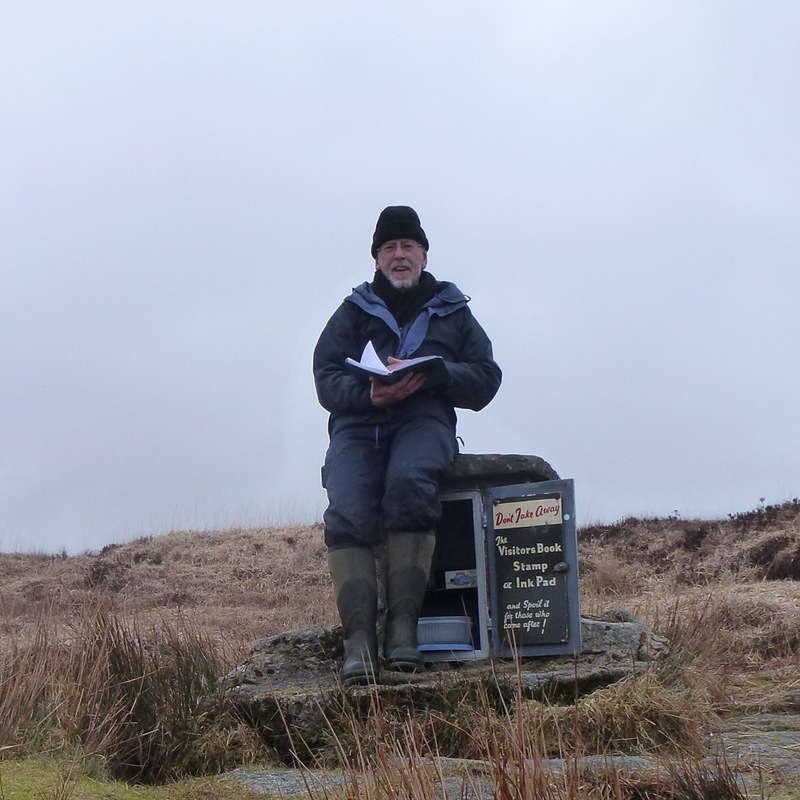 In all my total route was just on 11 miles, almost none of it on paths, except that through Fernworthy. However a great day and much useful maintenance completed and caches checked.